Fairytales all start somewhere . . . see where the MAGIC begins. This book contains 6 Young Adult Fairytales. 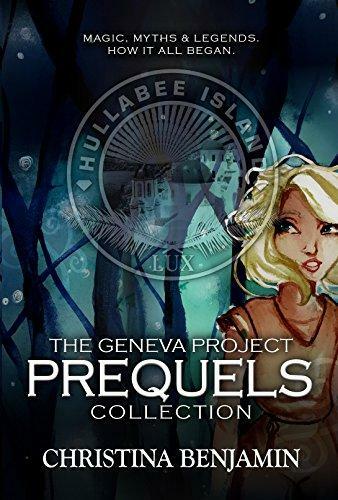 A must read for fans of The Geneva Project and a fun read for anyone who likes Tales of Beetle the Bard or The Brothers Grimm Fairytales. 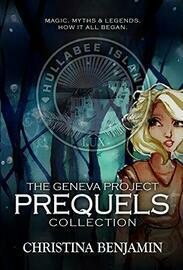 The Complete Set of Prequels to The Geneva Project, includes 2 brand new short stories and 4 fan favorites. There’s always a little bit of high jinx, mystery and magic happening on Hullabee Island and the holiday season is no exception. Follow Remi and Geneva in The Christmas Gift and find out why friendship is the greatest gift of all in this heartwarming fairy tale. Delve into the realm of fairies as Mother Nature, Father Time and Death battle over the powers of Mala, Sadie and Mali in The Timekeeper’s Daughter. Dive into a maritime legend of magic, mermaids, soul mates and the dilemma of how long to hold onto hope with Sparrow and Journey in The Floating Stone. Life is a lonely journey of intersecting paths for Nova. But everything changes when an improbable legend steers him toward an unexpected new friend who has to potential to alter his path in The Paths We Cannot See. This tale of strength and courage traces Jovi’s tribal ancestry back to its magical origins in The Willow and the Wind. The Looking Glass and the Lullaby.